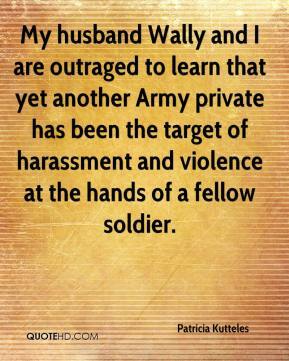 Private Lawson's mother told the (Arizona Daily) Star that she has been crying herself to sleep and is afraid for her son's life. I understand her pain. 'Don't ask, don't tell' impacts every service member -- gay and straight alike -- by creating a weapon to end careers and endanger service members through accusations, finger-pointing and rumor. Unless Pentagon leaders finally get a clue and lead the way in combating harassment and discrimination, I fear that attacks like these will continue to make headlines. The attack on Pvt. 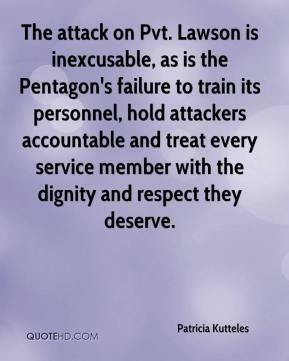 Lawson is inexcusable, as is the Pentagon's failure to train its personnel, hold attackers accountable and treat every service member with the dignity and respect they deserve.